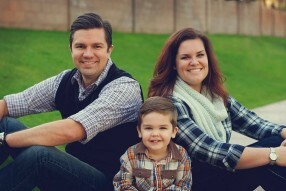 Ryan Gear is the founding and lead pastor of One Church. He holds a BA in Religion from Mount Vernon Nazarene University and a Master of Divinity degree from Ashland Theological Seminary. Ryan is married to Hannah. They have one son and live in Chandler.